You are currently browsing the Foobar2000 Blog weblog archives for April, 2007. With the end of Easter comes the much awaited PanelsUI v0.10.0. Terrestrial has been hard at work resolving a number of issues, specifically related to the powerful new sort/group criteria. %groupformat% (only valid in SCPL “Group Display”) to get the current group by string. “Singles” layout is chosen as default. Use this + %groupformat% to handle different grouping criteria dynamically. Changed base path to be relative to layout folder. This version also comes with some much improved sort/group criteria defaults for artist, album, date, folder, rating, random and type. If you are using PanelsUI v0.9+ already, to see these defaults you will have to remove the panels component, open fb2k and select “no” when it asks if you want to save settings, then close fb2k, re-add the component and open. You will have to select your pui again and you will lose your home-made sort strings, so back them up first. I am presently working on a compatible FofR Config v0.7 (which uses the defaults in v10), soon to be coming to a town near you. 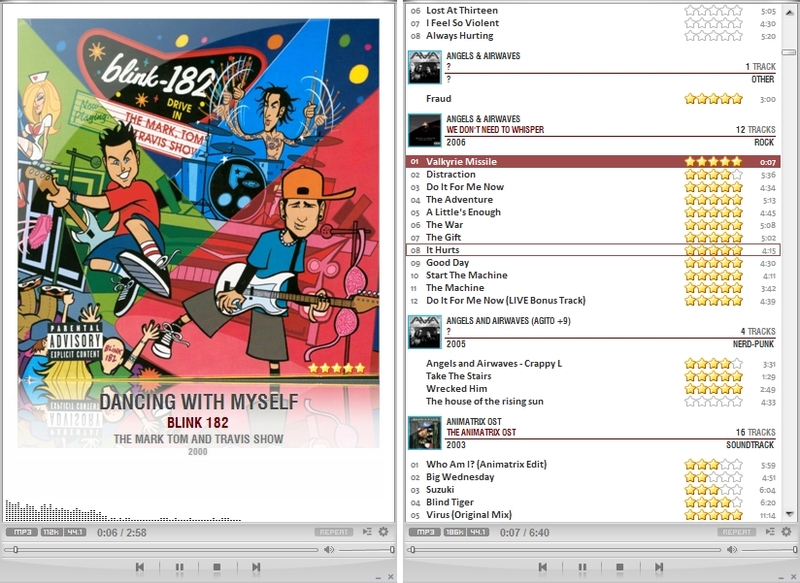 Finally completed the visual style independent, no titlebar version of GSM_flv. See the readme for installation notes! Playlist Tree began as a playlist manager that builds playlists as trees. Most audio players use a list based approach to playlists, but I wanted to be able to create hierarchies in my playlists, so that I could have greater control of how I listened to music. 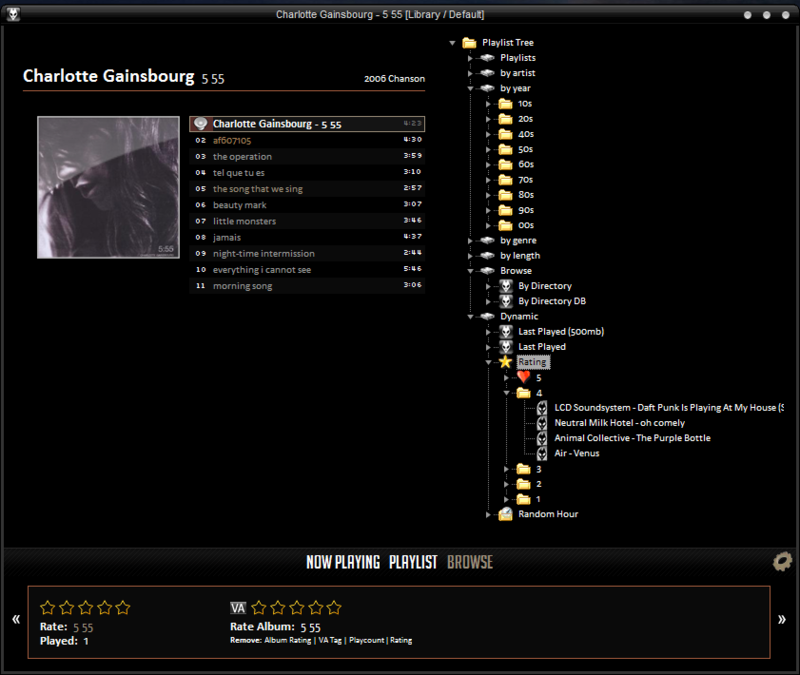 Playlist Tree has become one of the most powerful playlist managers that I have used. That power comes at a price of a fairly steep learning curve to use it to its full potential. PT acts a Columns UI Panel, and this article will assume that you already known how to make the PT Panel appear in your layout. If you don’t know how to operate Columns UI, please ask someone other than me . This article also assumes some familiarity with foobar2000 titleformatting. PT has 3 types of nodes in its trees. First, it supports nodes that represent a single playable item. 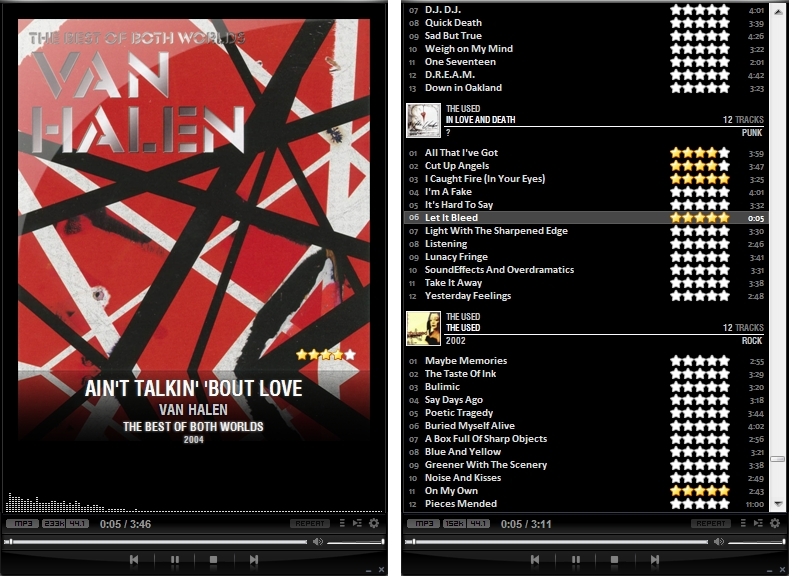 These items can be dropped onto the playlist tree panel from a playlist view or from the Windows Explorer. Second, it has what I refer to as static folders, which can contain playable items or other static folders, or the third type of nodes, the query. Queries are what give PT its power. All of these nodes can be moved around by dragging and dropping them in the panel, and items can be copied rather than moved if you hold down shift when you begin dragging. When you drop folders from windows explorer, it will create folders for each directory, and subdirectory, and playable nodes for audio files. Queries are PT’s automatic playlists. They let you enter the criteria for which tracks should show up in the results, and how you want the results to be laid out in the tree. They also let you place limits on the size of resultant list in the form of number of tracks, duration, filesize and number of subfolders. Criteria lets you prune files from your source. If you want all the files in the source to show up in the resultant tree, then leave the criteria blank. Otherwise, you can use the same syntax as foo_playlist_gen to remove non-matching tracks. For example, if you wanted only tracks by the Beatles that you have rated 4 or higher, you can use “artist HAS beatles AND rating GREATER 3″ for your criteria. Format specifies how the resultant playlist will be arranged. It use the foobar2000 titleformatting syntax. Tree layers are split using the | character. If you wanted all the files to be put into folders based on their artist, then the album and finally the title, the format string would look like “%artist%|%album%|%title%”. 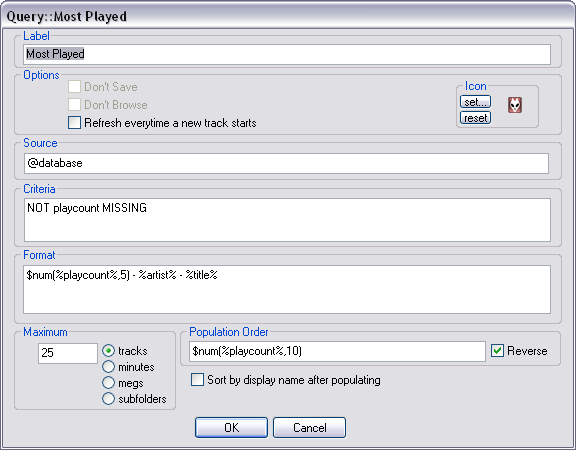 Population sort order determines the order in which songs go through the playlist generation process. Its especially useful when you are using the maximum options. For example, if you wanted a list of 10 random songs, you would set the Population Sort Order to “$rand()” and the maximum to 10 tracks. 2 – sort the list based on population sort order. 4 – for each item, add it to the tree based on format. 5 – stop if you reach the end of the list or hit the maximum whatever. 6 – if Sort by display name is check, sort by display name. If you hold shift while dragging and dropping nodes, you can make a copy rather than move. PT is very configurable. To get to the preferences select File->Preferences from main menu, then look under Media Library->Playlist Tree Panel. You can configure what happens when you select, double click, and middle click on nodes. 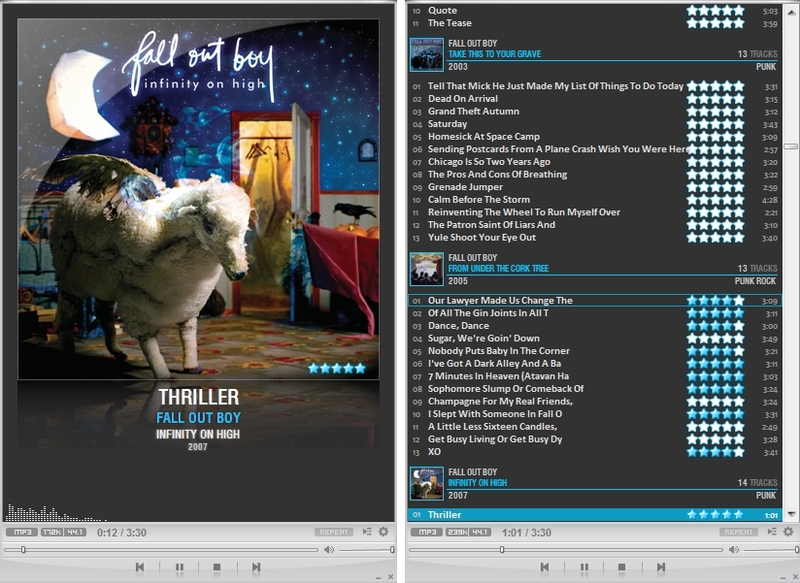 PT adds its main menu options under Library->Playlist Tree. In addition to the main Playlist Tree panel, PT also adds a Playlist Tree Search panel you can use in your Columns UI layout to quickly search your trees. You probably also want my foo_cwb_hooks plugin. I make and distribute PT because I enjoy using it myself, and I think others also enjoy it. But I also have a job, a fiancee, a mortgage payment, and a life. I wish I could implement every cool feature people suggest and respond to everyone’s post, but I have a limited amount of time that I can spend on this, so please forgive me if you don’t hear back from me on a bug or a feature request or a question. As of version 3.0.0, PT contains an embedded version of the Scheme programming language. This is intended for advanced users. 1 – It is a real programming language with things like conditionals and loops. 2 – Because it is a real programming language, you can do things that are flat out impossible with a normal playlist tree query. 3 – Because it is a real programming language, I can add ways to script foobar2000 actions. 4 – It’s easier to use than foobar2000 titleformatting for complex tasks (when you get the hang of it). See the MORE section for more information and links to examples. More information about playlist tree can be found on the components homepage here. More information about the embedded version of scheme in playlist tree can be found at here. I also suggest finding on online scheme tutorial or the book “The Little Schemer”. Example queries can be found at here.